The Toronto Urban Roots Festival, or TURF for short, is a 4-day music festival in downtown Toronto. 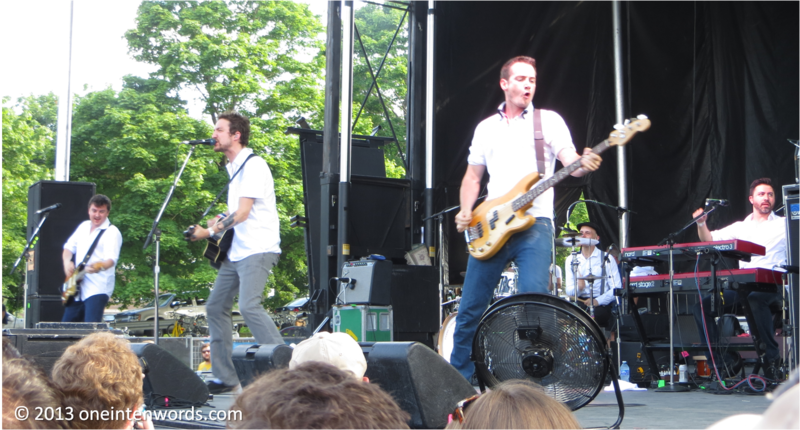 For its first year, they had a really good line up of artists including She & Him, Camera Obscura, Arkells, Fitz and the Tantrums, Hannah Georgas, The Felice Brothers, Skydiggers, The Wooden Sky, The Sadies, Yo La Tengo, Whitehorse, Cat Empire, Neko Case and Belle & Sebastian to name a few. There was also a club portion with live performances at The Horseshoe and Lee's Palace each night. I only attended Day 3 and saw Dawes, Matt Mays, Frank Turner & The Sleeping Souls, The Lowest of the Low, The Hold Steady and Flogging Molly. I found it to be an amazing experience. The festival was well organized, easy to get around and had a good variety of food and drink options including great food trucks, plentiful beer gardens and free water. There was a kids area, too. The VIP option was well worth the upgrade. I think I would attend more festivals if they were all this well run and had such well organized VIP options. I do wonder how close to capacity they were, and whether the manageable crowd levels were by design or not. Hopefully, TURF was profitable and will become an annual tradition on the Toronto concert calendar. 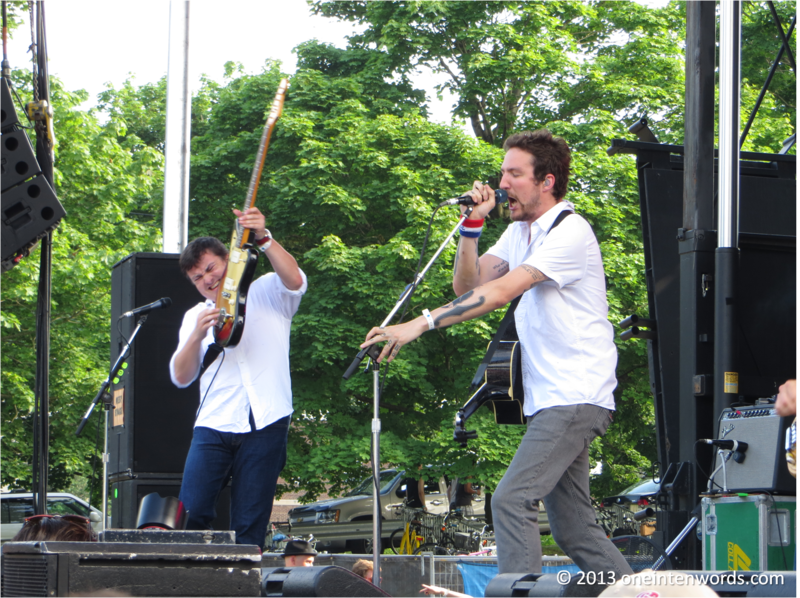 I guess I'm kind of a latecomer to Frank Turner. I discovered him after the release of 2011's England Keep My Bones. I subsequently missed his show in Toronto. This made TURF my opportunity to see Frank live. He also played Sunday night at Lee's Palace. Since I first heard his music, I've loved his impassioned, energetic delivery of oft-times confessional, story-telling songs. I always figured that he'd be amazing to see live, and let me tell you, I was not disappointed. He opened the show with "Four Simple Words" from his latest Tape Deck Heart. 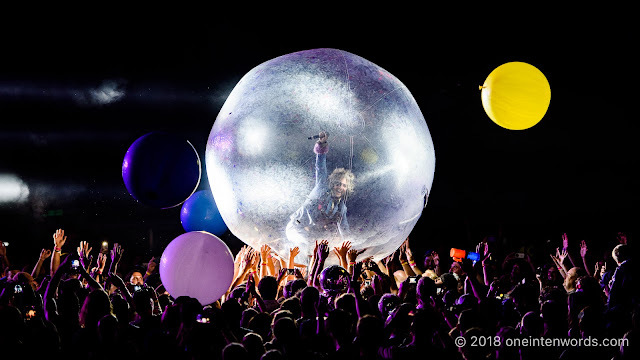 He kept the energy level near frantic for most of the show, indulging his inner "corporate whore" by shilling his new music, while reaching back in his catalog. I don't think anyone in the crowd was in any way disappointed by the show. He's got a way with a song and keeps the audience involved, even to the point of danger. He made lots of friends by covering local legends The Weakerthans' "Plea From A Cat Named Virtute". Upon popular request, Frank came back for one more song, a great cover of "Thunder Road" by Bruce Springsteen. Truly glad I was able to see Frank live. We saw Frank again when he came out to pump his fists and sing along with one of his favourite bands, The Hold Steady, before joining them on stage for their finale. Pretty damn cool. 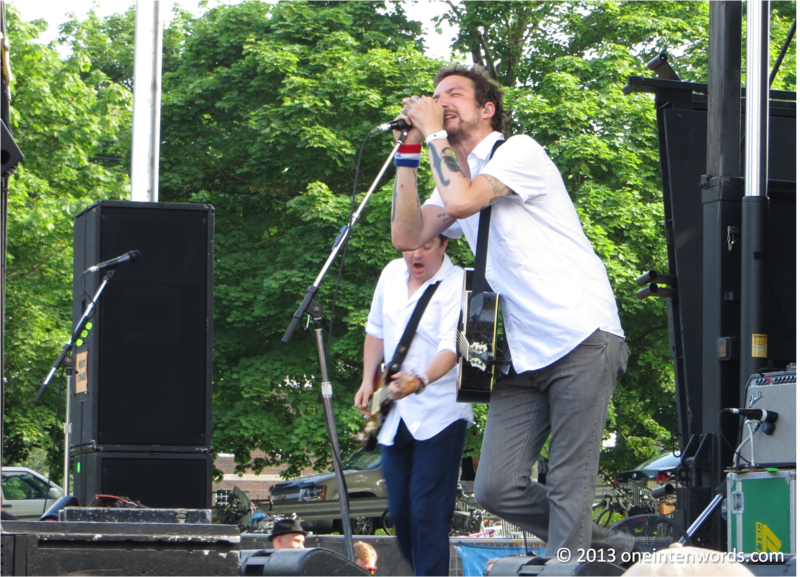 Here's a smattering of great Frank Turner music. "The Way I Tend To Be"
"Glory Hallelujah" Yes, this was just as powerful live as you would imagine. Glory be to the rational. "Wisdom Teeth" Was this the tune he said he'd probably never played in Canada? Amazing crowd participation main set closer "Photosynthesis". The pictures in this post are mine. Lots of great stuff from J. Mascis / Dinosaur Jr.
New Pearl Jam track Mind Your Manners!